Natural stone elements can spruce up any landscaping design and your homes curb appeal. From grand elements like fountains and bridges to smaller design details like birdbaths and sundials, there is a stone landscape decor piece for every design taste. Fountains come in all shapes and sizes. They are a perfect piece for the front of your home to welcome people and also a great piece to add the relaxing sound of flowing water to your garden oasis. With all the options available, you are sure to find a beautiful fountain for your landscape. If you cant find what you are looking for, remember that stone fountains are completely customizable. 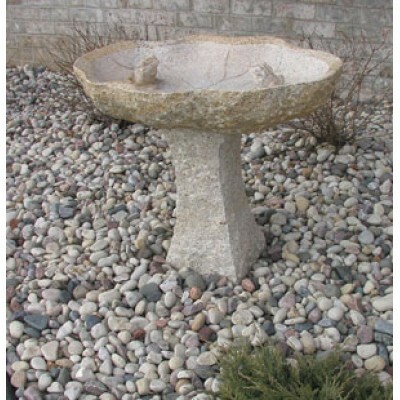 Welcome birds to your garden with a natural stone birdbath. Birdbaths come in many styles, from rustic boulder baths to classic design motifs. 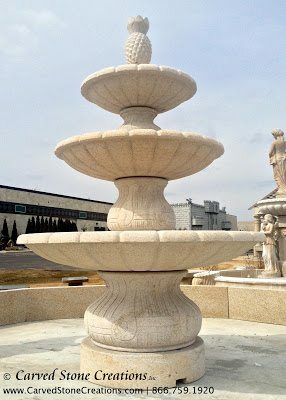 Unlike concrete, resin or plastic birdbaths, natural stone fountains can be left outside year-round without the risk of cracking or chipping. Do you have a small stream or pond in your landscape? 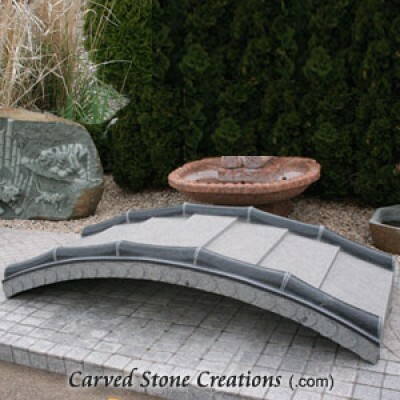 Consider adding a unique hand-carved bridge to your garden to cross over your water feature. Bridges can incorporate many detailed designs in the stair treads, railings and accents. Sundials give an old-world look to your landscape. Antique-looking sundials sit on a granite column pedestal. 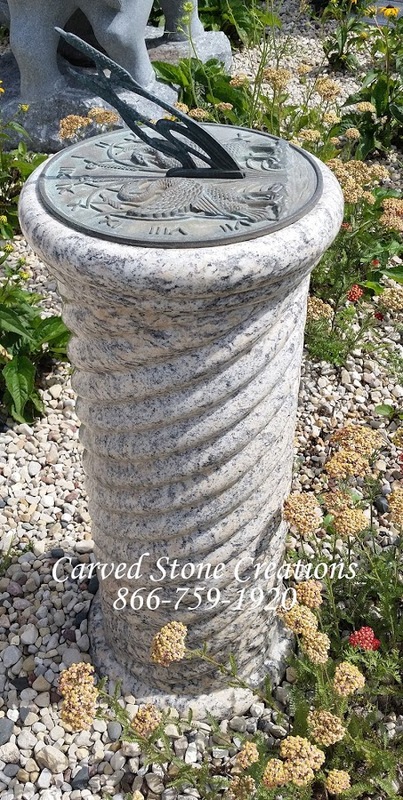 If you are looking to add a touch of stone to your landscape, consider adding a sundial with a stone pedestal. Create a whimsical path in your garden with unique stepping stones. Choose from hand-carved designs in many sizes and styles to complement your landscape design. 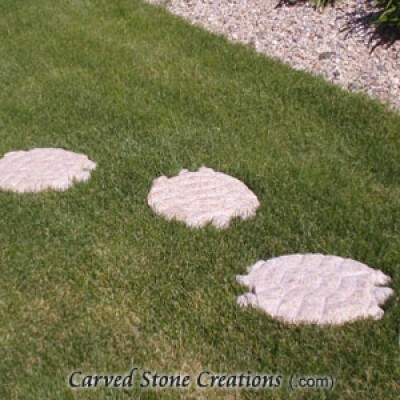 Take a look at our fun turtle stepping stones carved to resemble turtle shells. There are many ways to add stone to your landscape. Take a look at the landscape decor section on our website to view all of our stone landscape decor pieces.